This week besides the update listed below, we have an update that is not so visible. 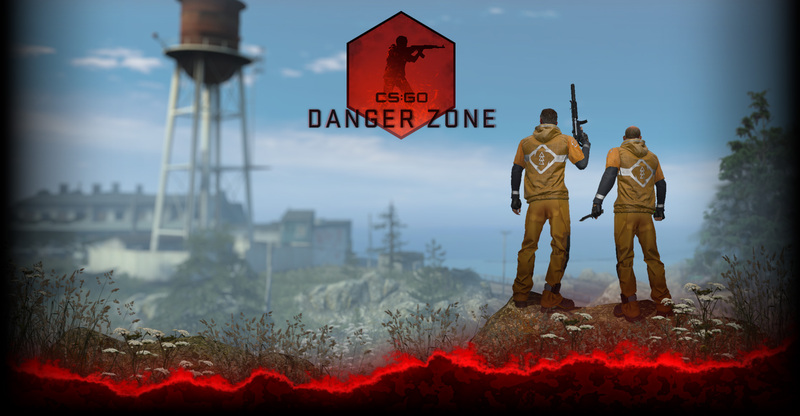 We released the first beta version of the CS:GO SDK. With this release, the community will be able to start working on new CS:GO maps. We look forward to new maps, old classics updated, competitive versions of maps, and even more surf maps! The beta is currently very limited as we work through the bugs. We will make more keys available as we get more feedback and fixes out there. • Fixed an issue in the weapon recoil system which caused tighter shot grouping than intended. • Dead players no longer can see bomb or defuse icons on scoreboard for opposing team members. • Recoil impulses are now more consistent for automatic weapons. • The Movement acceleration and stopspeed values have been lowered per pro feedback. • Slightly increased the variance of the recoil patterns. – Updated the recoil pattern for the ak47. • Adjusted the recoil suppression parameters to help tune burst fire. • Fixed an issue which was causing thrown weapons to emit from the base of players, rather than their hands. Gifted weapons will now correctly throw the proper distance. • Hooked up the win panel for arsenal mode to put emphasis on the winner and runners up. • The next weapon text in AR now displays appropriate text for the mode and state. • Fixed the alert for when you reach gold knife level showing up when anyone reached it. • When you get a point for an assist, it shows in the death message. – Added correct skybox to the map properties. – Turned down local-contrast settings. – Fixed a strange clip on stairway. – Fixed lighting on the dark hut in the Middle area. – Fixed a few visual issues with the huts, and thinned out some of the thatch roof. – Adjusted size of buy zones for both CT and T’s. – Adjusted local contrast settings on post process controller. – Added smoothing normals to prop bombtanks used in Inferno level. – Fix for incorrect bombsite designation text when standing on the blue truck. – Upped resolution on a prop, removed label that looks blurry. – Updated some very shiny planters. – Fixed floating leaf in tree alpha texture. – Reduced specular on tarp roof. – Fix for objects disappearing from skyline based on camera position near double doors. – Fix for the collision of the crates near bombsite B. – Fixed the collision of the scaffolding at Water below bombsite B. – Improved the texture on the metal bars at Water below T Ramp. – Can no longer climb the scaffolding at bombsite B. – Can no longer walk to the far side of T Ramp. – Can no longer access platform next to Bridge. – Expanded and moved both the CT a T buy and spawn zones in radar image. – Adjusted some tonemap settings. • Fixed clipping issue on Terrorist skin with head wrap. • Fix for Sawed-off where bolt was sticking through the back of the housing during fire and reload animations. • Trimmed up ambient content for Nuke, Bank, Train and Sugarcane and made adjustments to the script in Bank (balancing levels and adding some light breeze to match the trees) and a few updated references in Nuke, Train and Sugarcane. • Lake and Safehouse ambient optimizations. • Italy ambient optimizations. Fixed a doorway where a player could move outdoors and still have the indoors ambience. • Baggage ambient revision and optimization. • Snow effects have been greatly optimized. Snow in Office runs 7x faster than before. • Fixed crash when in the Buy menu, then voted yes to change maps. • Fixed noticeable double round start in Arms Race when the first player entered the server/game. • Fixed shadows being cast by vgui screens ( mainly the bomb plant numbers in game ). • Fix for a bug where dropping the Famas in certain points in de_dust would cause the weapon to sink into the ground. – Display an error and exit if the card doesn’t support shader model 3, bilinear PCF sampling, or cascaded shadow mapping. (No cards are actually marked as not supporting CSM in CS:GO.) So our minimal GPU is now the NVidia 6xxx series (2005), or ATI HD 2xxx (2006) or better.